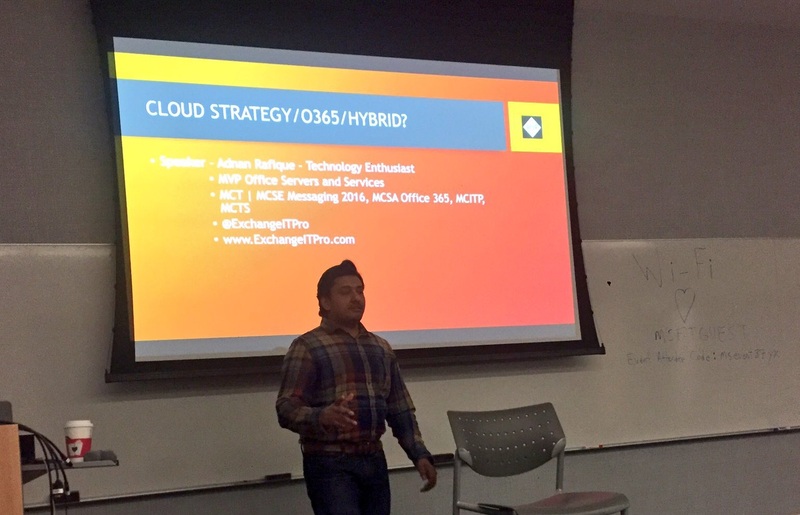 Topic: Does your enterprise have a hybrid cloud strategy or a cloud strategy? – 88% of organizations are using the cloud, while 74% of enterprises believe a hybrid cloud model will enable business growth. Are you one of the enterprises with a hybrid cloud strategy? – A recent study by Gartner found that 8.5 percent of public companies in the sample use cloud email from Microsoft’s Office 365 service, while 4.7 percent use Google Apps for Work. The remaining 87 percent of companies surveyed have on-premises, hybrid, hosted or private cloud email managed by smaller vendors. Let’s explore why remaining 87% of the companies are reluctant to Office 365, are these just configuration issues or something like compliance, security, records management, data governance etc? Does it reduce the cost over time adopting it and how does is impact on the jobs you are doing today to manage the on-prem environment.